Tags : British Columbia, Phantom Beer Co.
VANCOUVER, BC – Bring Your Porter to the Slaughter reports that a mysterious new “beer project” has announced details of its upcoming first release. 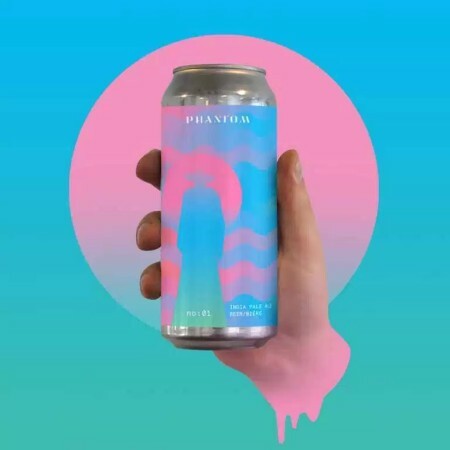 Phantom Beer Co. is described on its website as “an artisanal beer project based in Vancouver, B.C. that was started by a few friends working the beer game, obsessed with the innovation of beer styles, of finding new hop combos, interesting malt bills, weird yeast strains and the like”. Our first IPA features a generous addition of Magnum, Ella and Sterling hops giving this hazy brew massive tropical notes right upfront. Light-bodied and very refreshing, it finishes off crisp with a slight, lingering bitterness. Phantom No. 1 IPA will be officially released on April 2nd. For more details, see the brewery’s website and Instagram.